Tea is a wondrous thing. It’s warm, soothing for the soul and, Melbournites will agree with me on this, is much needed on any given day as the weather is as fickle as a pickle. But before you shout out, “We want coffee! !” multiple times at your screen. Coffee is just as equally as beautiful and delectable. But alas, today, tea is the only name on my lips. And it would be the same for you if you had tasted this tea. Oh yes, even the most avid of coffee drinkers would more than likely be tempted to dabble in the marvy land of tea this very day. 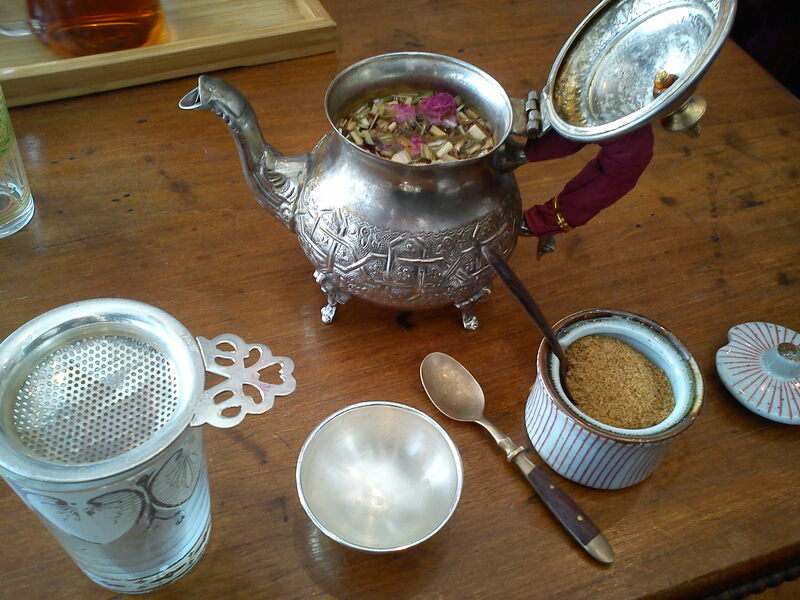 My friend and I frequent a little place in Melbourne called the Travelling Samovar. It’s a beautiful tea house on Rathdowne Street in Carlton and serves the most gorgeous tea. From Russian tea to a cup of hot herbal bliss, these ladies have it all. Today I had the Crimson Blend, with a sprinkle of coconut sugar and it was heaven in a cup. But I can vouch that any given flavour will be just as good as the next. The ladies will most often re-fill you up with hot water when you’re running low! I hope you have a warm, tea filled day wherever you are! Or iced tea if it’s hot… in which case I’m jealous.